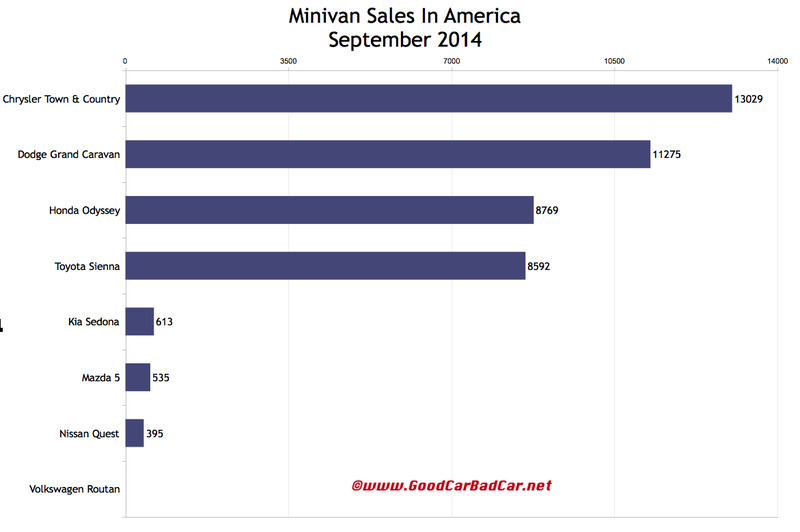 Minivan sales in the United States grew by 5%, slightly below the pace set by the category through the first three quarters of 2014. The top two best-selling minivans, twins from Chrysler and Dodge, controlled 49.6% of the segment through the first nine months of 2014; 56.2% in the month of September. Sales of the Kia Sedona slid 7%. The Mazda 5, soon to be killed off, was off last years slow pace. 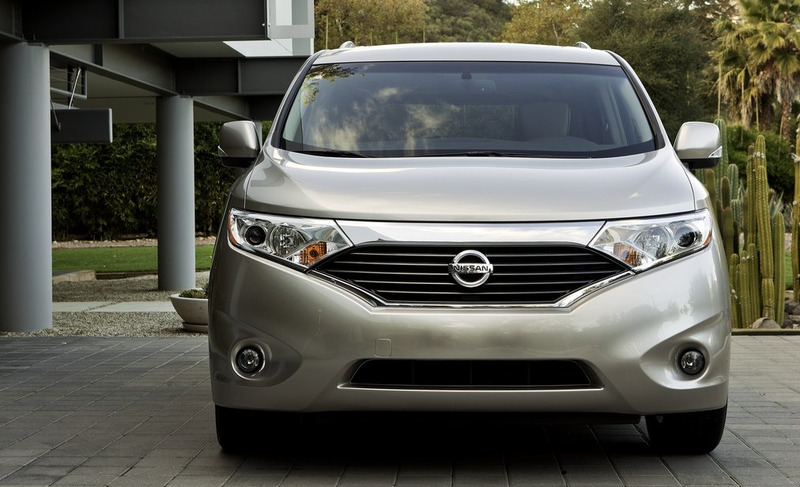 Nissan Quest and Toyota Sienna sales also decreased. Volkswagens Routan has successfully been put out to pasture. You can click any model name in the tables below to find historical monthly and yearly U.S. auto sales data. You can also select a make and model at GCBCs Sales Stats page. This table is now sortable, so you can rank minivans any which way you like. Suggestions on how GCBC should break down segments can be passed on through the Contact page.